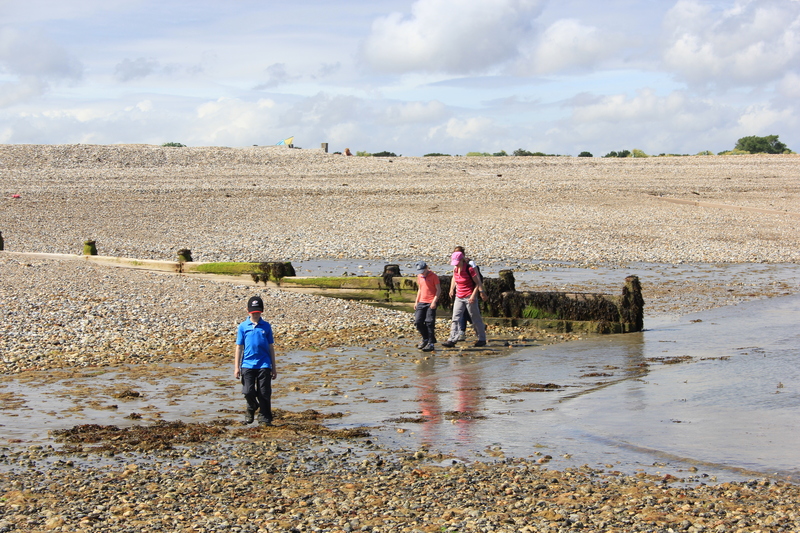 As we left Pagham Harbour and arrived back at the shingle beach we naturally gravitated down to the sands exposed by the tide. Walking on shingle makes for a tough trudge. The compact sands, by comparison, make for relatively easy walking, and the millions of little treasures left there by the sea bring an interest which is not as abundant on the shingle. As we wandered along the sands the tide crept back in. We had to navigate our way around groyne ends with care, for fear of ending up with a boot full of water. 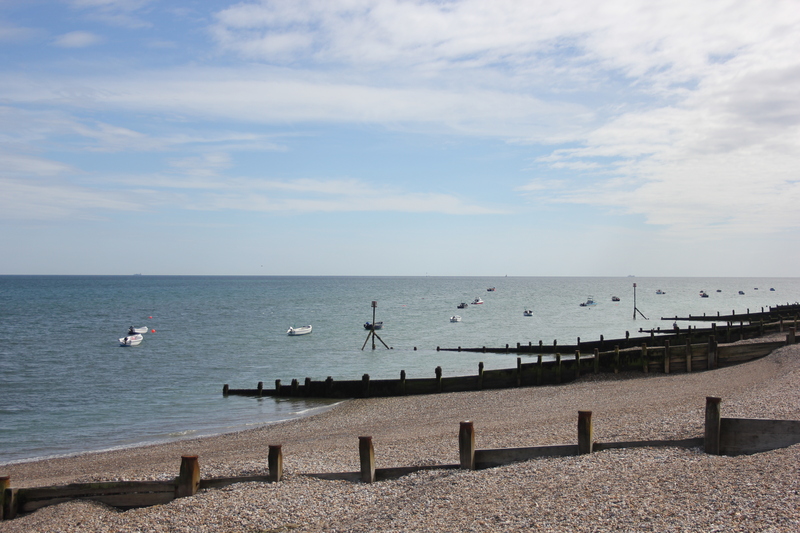 Eventually the tide forced us up onto the path running alongside the top of the beach, and made our way into Selsey from there. As we approached the town we found a plaque, stuck on to a bit of concrete. It stood in a patch of stining nettles on a small area of rough grassland. I thought it a bit of a strange place for a plaque. Desert Island Discs tends to be on the radio in the middle of my working day, so I only catch it when I happen to be in my car, although that is often enough. For all of that though, I cannot remember the theme tune, save to say that it is a relatively soft piece of melody that I suppose evokes the fictional romantic utopia of a desert island well enough. What view inspired this, I wondered? I turned and looked. Not bad, I suppose. It did not conjure up images of desert islands for me, although I suppose the shingle has to be blamed for that. Actually, I preferred the view west, in the other direction, where little boats bobbed up and down in the sun. It was also along this stretch of coast that the prefabricated sections of concrete were assembled for the floating Mulberry Harbours, used in the D-Day landings in 1944. They were towed off into history from about here. We left this spot, walked into the main Selsey car park, and then struggled for half an hour to find a taxi to take us back to our car. 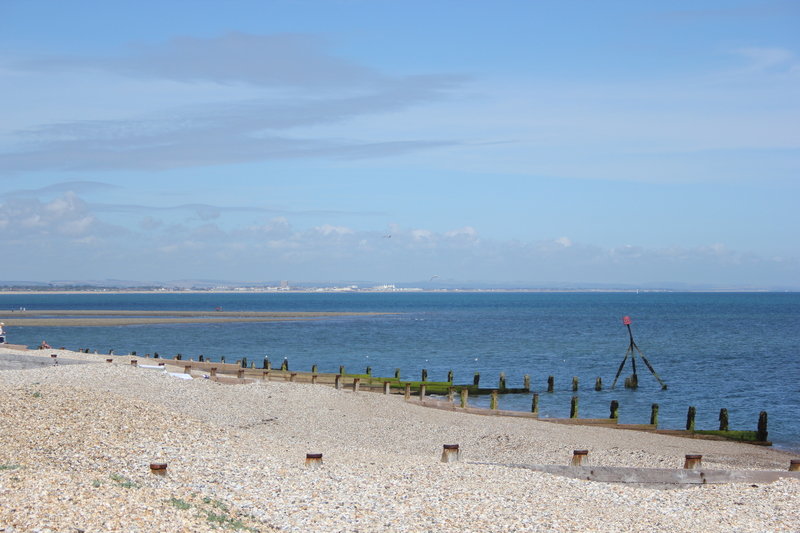 This entry was posted in West Sussex and tagged coast, desert island discs, mulberry harbour, selsey, travel, walking, west sussex. Bookmark the permalink. Didn’t the sound of seagulls immediately evoke the theme tune to ‘Desert Island Discs’?! Nothing at all seems to evoke the tune, as I simply can’t remember it! There are a few notes that flourish lazily in my mind when I try to recall it, but I certainly can’t tell you how it goes. And all this after I listened to it on YouTube a couple of weeks ago to remind myself of how it sounded! 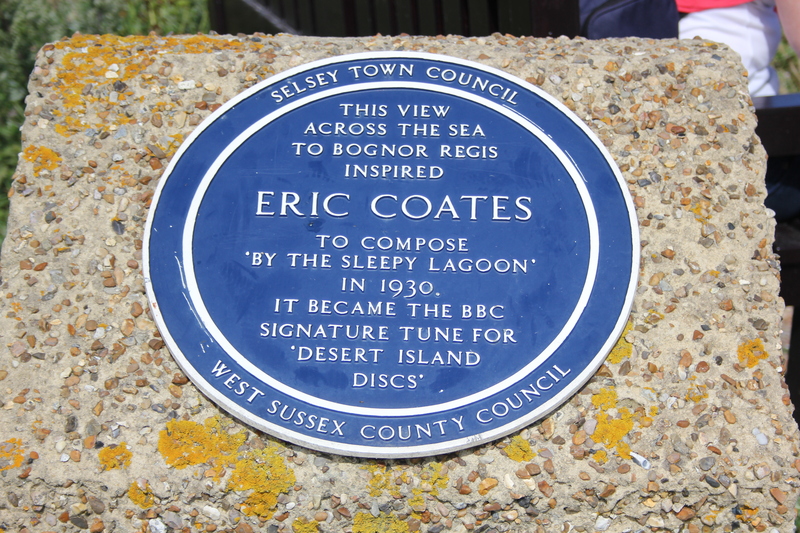 Poor old Eric Coates – I feel very bad about this!